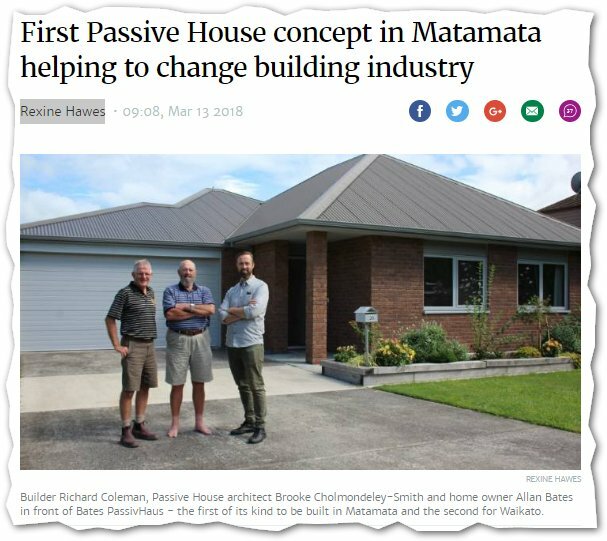 13 March 2018 Stuff’s Rexine Hawes: First Passive House concept in Matamata helping to change building industry | Sustainable Engineering Ltd.
Good article on a great house. Brick veneer is tricky to get right without creating the potential for mould at the slab edge. This design team got it right on the first try. Cholmondeley-Smith said while still relatively unknown, passive homes were growing in popularity around the world. “More people are moving towards building healthier, comfortable homes, with lower running costs. He said although it cost more to build, as there are more elements to the design phase and costs for materials, people were realising the value in the long term.